Monbiot also points out that “neoliberals” have the field largely to themselves, since the “left” has not come up with an alternative since Keynesianism. I think this is one reason why the policy center of gravity has shifted steadily rightward since the 1970s, even though public opinion on basic questions such as the role of government has scarcely budgeted. Conservatives have an economic program; liberals (what we now call “progressives” in the United States) have a bunch of complaints about that economic program. One thing I’m not entirely on board with is the particular bundle of policies that Monbiot ties together, or the label “neoliberalism” that he applies. This is a complicated conceptual space that, portions of which have been labeled liberalism (that’s the word Hayek used in The Road to Serfdom, neoliberalism, libertarianism, Randianism (used by Hacker and Pierson in American Amnesia), or simply conservatism. After all, there isn’t much in the ideology that Monbiot identifies that every Republican presidential nominee since Reagan wouldn’t agree with. “Neoliberalism” also suffers from the problem that it means very different things to Anglo-Americans and to Latin Americans, many of whom see it through the lens of the Pinochet regime and the U.S./IMF’s imposition of the Washington Consensus. Various people, particularly Frank Pasquale, have pointed out to me that there are thoughtful, coherent conceptions of neoliberalism—see Grewal, Purdy and others here, or Mirowski here. But I worry that popular usage of the term has run away from any clean definition. This is particularly so because no one actually claims to be a neoliberal anymore, so the term is mainly used by its purported opponents. There is a central strain in Monbiot’s conceptual cocktail that I think is coherent, and that is overreliance on the competitive market model taught in Economics 101. Although this isn’t the same as Economics 101, as various people have pointed out, it tends to be the single most important lesson of introductory economics. As Paul Samuelson wrote in the first edition of his 1948 textbook, this model—and the result that competitive markets maximize social welfare—is “all that some of our leading citizens remember, 30 years later, of their college course in economics.” The assumption that the competitive market model accurately describes the real world is, I think, one of the major reasons why conservative economic policies have been so persuasive—and why, for example, our pre-Bernie Sanders health care debate was divided between leaving markets alone and fixing markets to make them more competitive (Obamacare). The belief that public policy could be based directly on theoretical principles is also a reasons for the turn away from practical economic management discussed by Cohen and DeLong in Concrete Economics. This pervasive assumption also does not have an accepted name, but I call it “economism,” since it constitutes a worldview (not quite an ideology) based on economic theory. * (Noah Smith calls it, or something similar, “101ism.”) I don’t claim that economism is a better category than neoliberalism, or historically more important, but I do think that it is more easily isolated in both history and public policy. And it certainly has done its share of damage in justifying deregulatory policies and rationalizing the rise in inequality that followed. * To be precise, this is one meaning of economism, which already has several—none of which is particularly well known except in certain obscure academic circles. This entry was posted in Commentary and tagged economism, ideology, neoliberalism. Bookmark the permalink. It is important to remember conservatives weren’t always the party of stupid. Back then, it was liberals and it was a reaction to that. There in my homeland Venezuela I suffered when governments privatized public services awarding the righ to exploit thes, to whoever paid it the most. With that the government received what in effect was great advance tax revenues, while leaving us citizens to pick up the pieces with decades of tariffs that were much higher than they needed to be. And you call that neoliberalism? You’ve got to be kidding! 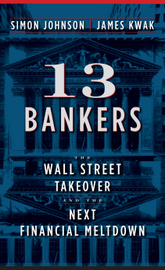 And here you refer to the Washington Consensus, a term coined in 1989, when one year earlier, 1988, the Basel Accord decided that for the purpose of setting the capital requirements for banks, the risk weight of the sovereign, the monarch, was to be zero percent, while the riskweight for the citizen was 100 percent. And you call that neoliberalism and deregulation? You’ve got to be kidding! Whats the point I already posted and their gone. The root of the problem is that humans are actually rather stupid, defiant and in denial also. The combination of the three make for sheep silently and willingly being lead to slaughter. The carnage on the street only seen by a chosen few, the rest are political tools who wake in pain, struggle through the day, and then have trouble falling asleep. Only to begin the process once again until they finally meet their reward. Am I only one who wonders why we are even here trying to succeed with this disaster called “The Human Race”. I mean it is as pitiful a thing as I could have ever imagined, and getting worse each and everyday, the cross roads between useless and hopeless. We didn’t — and still don’t — have anything *remotely* resembling “unfettered capital markets.” Instead we have a system with insane amounts of government intervention — the Federal Reserve, the SEC, Fannie Mae and Freddie Mac, the FHA, banking regulations, security market regulations, and on and on and on. There is much to criticize about the current system, but we should at least acknowledge the true nature of reality. None of that is remotely true, except maybe that unskilled private sector unions are in decline. The government just took in record income tax receipts this year, Dodd Frank and the Affordable Care Act was just in the last few years. …negotiations failed in 1998 …due to public exposure…. So now we get a game replay with TPP and the sibling version of the Trans Atlantic Partnership that is hardly ever mentioned at all. ” [T]he start of the opposition against the MAI can be traced back to a couple of individuals, [who] remained the leading figures in its further development. By the end of 1996, Martin Khor, Director of the Third World Network based in Malaysia, obtained a document prepared for the OECD Ministerial meeting of May 1995 as well as for future WTO negotiations by the European Commission (Commission of the European Communities 1995: A Level Playing Field for Direct Investment World Wide, March 1, Brussels). From the document, Mr. Khor understood that multilateral investment negotiations, which his organisation as part of a large coalition opposed at the WTO, might be ongoing at the OECD. He informed some NGO colleagues, among whom was Tony Clarke, Director of the Polaris Institute in Canada. Tony Clarke managed to get a copy of the MAI draft. After turning “the text into a readable document and adding an analysis and interpretation” [sourced to interview with Tony Clarke, Brussels, April 28], he posted it to an international email distribution list about globalization called le Forum international sur la globalization in February 1997. Varney W; Martin B. Net Resistance, Net Benefits: Opposing MAI in Social Alternatives, Vol. 19, No. 1, January 2000, pp. 47-51. “…MAI opponents made heavy use of electronic mail and the World Wide Web in raising the alert, sharing information and coordinating actions. They worked collaboratively, flexibly and imaginatively towards their goals while MNCs and governments were working secretively and within more traditional hierarchical models. Yes the analysis here is too facile and misses the most important points. Those are the demographic issue where developed nations are not having enough children, the massive rise of debt in all sectors of the economy, household, corporate and government, and the inclusion of China into the WTO in 2002 which created a one time massive shift of labor to asia which has largely run its course. These are the most important forces shaping the current state of the world, not neoliberalism. Electronic Frontier Foundation. Defending your rights in the digital world. … Secret TPP Negotiations—And Public Protests—To Be Held in New York City. “TPP was negotiated in secret and details have yet to be published…. Nicholas, have you not been paying attention to policy’s the past decade plus. The terrible legislation of the Bush tax cuts were passed STRICTLY on the basis that they would end 10 years hence the passage of the legislation, this was the ONLY thing that was going to bring the bad legislation back into balance for the middle class down the road. Instead once we got down the road, the cuts were extended indefinitely and then the rich insisted that everyone pay their fair share of taxes. Well the fair share would have been to END THE BUSH TAX CUTS, which never occurred. Now the lower classes are tapped to pay the additional expense’s of health care and so many other things for the rich, a catch 22. There are probably many more examples of poor legislation which were reversed by the oligarch’s strictly to inflate wealth disparity between the classes, this is one of the worst ones. So to say where did the author get the whatever, where the HELL have you been during this political circus of legislation? This gvt is so on the wrong side of nature on so many issues that the clowns and jugglers have stopped laughing and even the frowns get drowned out by political denial, it’s sickening to say the least.